Along with Bahrain, the majority of Formula 1’s pre-season testing in recent times has taken place at three circuits in Spain. This time we talk about Circuito de Jerez, the southernmost of the Spanish tracks, which last hosted pre-season testing in 2015. After Madrid’s Jarama circuit proved unsuitable for the demands of modern F1 machinery, the Spanish Grand Prix disappeared from the Formula 1 calendar between 1982-1985. It returned in 1986 at the brand new Circuito Permanente de Jerez, which was built in the middle of sherry country in the Andalusian region of southern Spain. Jerez staged some memorable races over the next five years, though it was the scene in 1990 of a terrible crash that ended the career of Irishman Martin Donnelly. The circuit returned in 1997 as host of the European Grand Prix and saw the title decided in favour of Jacque Villeneuve after Michael Schumacher unsuccessfully tried to take him out! It happened on Lap 48 when Schumacher drove into the French-Canadian as he attempted to pass; the German ended up in the gravel and was subsequently disqualified from the season’s standings. While the circuit has remained a mainstay on the MotoGP calendar, it’s only been used by Formula 1 since as a venue for winter testing. No wonder it’s been popular. Visiting teams and journalists invariably arrive from cold Northern European climes to be greeted by orchards full of orange trees and temperatures pushing 20 degrees Celsius. Jerez de la Frontera is a lovely little town with an ancient downtown featuring a big cathedral and historical buildings – you can even join a processione if you’re are there at the right time. 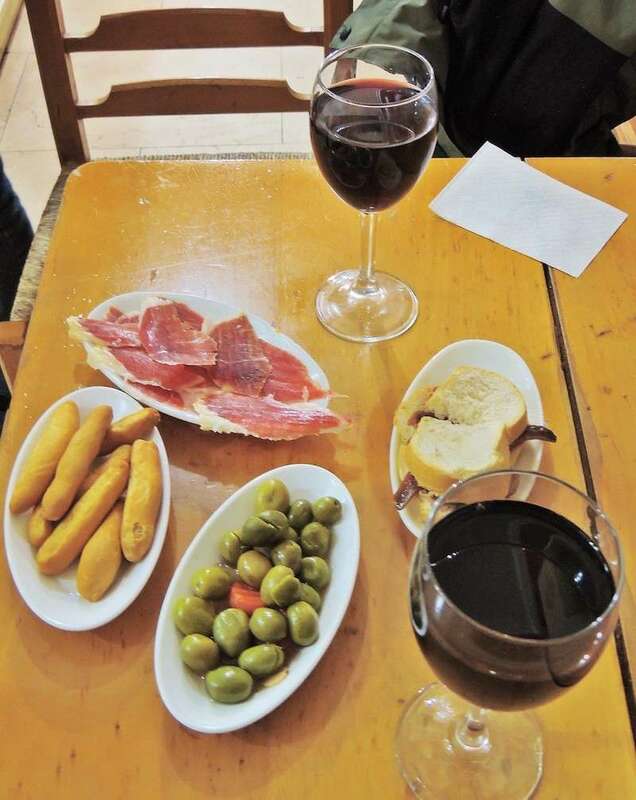 Lovely bars and small restaurants provide typical Andalusian fare – ham, olives, cheese and of course different tapas dishes. You can also tour one of the famous sherry factories, such as Sandeman, or take a day trip to the seaside city of Cadiz. Locals are friendly, though life here is tough; unemployment is high, especially among young people, many of whom head north in search of jobs in Madrid and Barcelona. Out on the circuit, there’s excitement. How will the new cars perform? Many teams launch their new cars at testing and make themselves available for lengthy interviews. Usually only one car is available for testing, which means the second driver has plenty of free time to chat to journalists like me. I remember talking to Toro Rosso adviser Daniele Audetto, who had been Team Manager at Ferrari in 1976 when Niki Lauda had his fiery accident at the Nurburgring, then heroically returned to the grid just 38 days later, eventually losing the Championship to James Hunt in Japan. Sitting with a red scarf around his neck, Audetto began to reminisce about his period. Our fascinating talk lasted at least two hours. Read Karoly’s earlier article about pre-season testing at Circuit Ricardo Tormo in Valencia. The same happened with Jo Ramirez, who worked for Ferrari, Tyrrell, ATS, Fittipaldi and eventually McLaren, where he ended his career in 2001. Ramirez lives not far from Jerez, in Malaga, and was a frequent visitor to the tests – often riding his bike. When I asked about his memories of the first Hungarian GP in 1986, his eyes lit up. We sat in the McLaren tent as Ramirez opened up, mainly about the great Ayrton Senna. Since winter test days have a totally different rhythm to an F1 race weekend, there’s time to stroll around the track. Jerez also has a small museum (more info on the circuit website) that’s definitely worth visiting. It covers MotoGP as well as Formula 1 of course, and has some really cool items such as Nigel Mansell’s Williams FW11 from 1986, several drivers’ helmets (including Senna) and TV screens showing the past races held at the circuit. Pre-season testing for the 2019 Formula 1 season kicks off in Spain next month. Two 4-day sessions will be held at Circuit de Barcelona-Catalunya on February 18-21 and February 26-March 1. Read our guide here. Károly Méhes (born 1965) is a Hungarian F1 journalist and author. He has been covering F1 since 1990 for Hungarian and international magazines (The Paddock Magazine) and is also an expert for the Hungarian broadcaster. Since 1998, Méhes has published two dozen Formula 1 books, most recently a popular volume of interviews about Gilles Villeneuve (Pitch Publishing 2018). He lives in Pécs, South Hungary.